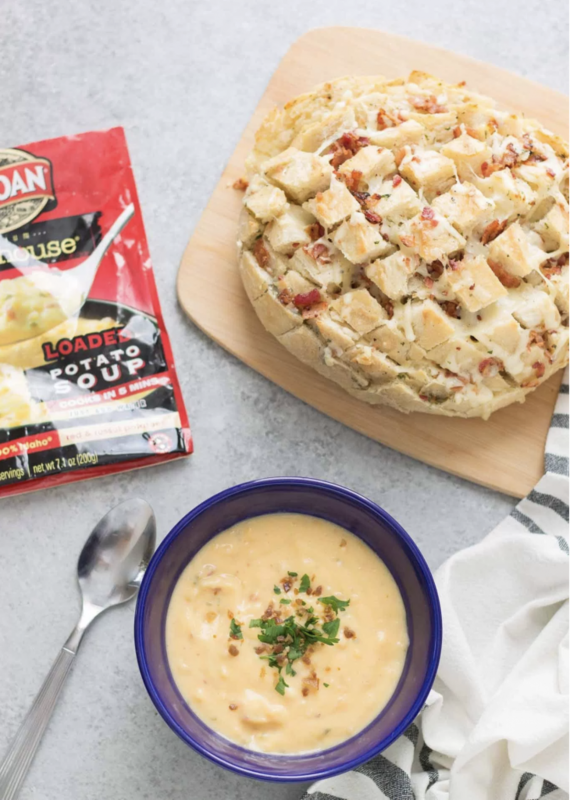 Throughout the holiday seasoned we partnered with a variety of bloggers to come up with souper easy dinner ideas, starting with – you guessed it – Idahoan Steakhouse soups. The holidays might be over but these recipes are going to help us keep us warm from the inside out all winter long. 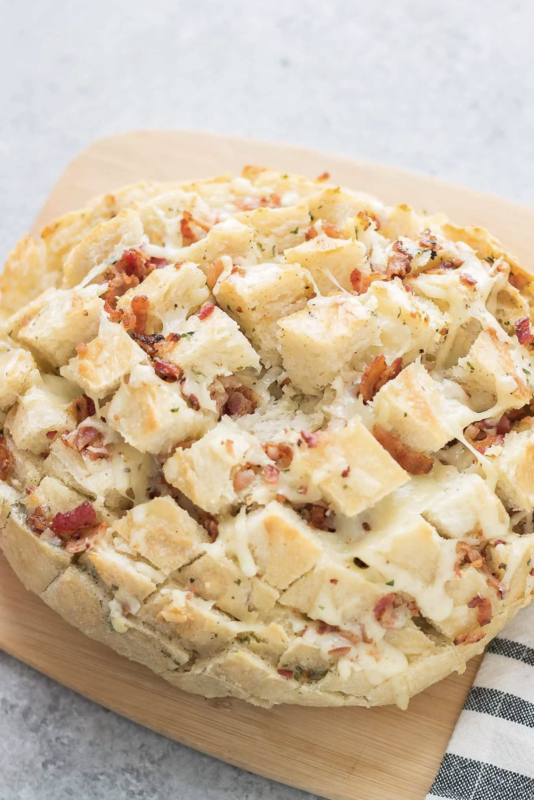 One example is this Cheddar Bacon Ranch Pull Apart Bread from Megan at Strawberry Blondie Kitchen. Like so many of us Megan is a busy spouse, parent and has her own business to boot. While she loves to experiment in the kitchen, there’s some nights when she just needs dinner on the table, STAT! Idahoan Steakhouse soups give dinner a jump start, coming together in just minutes. And you only need water to make them! To round out the meal, Megan starts with a round loaf of sourdough bread which she scores and tops with a mixture of familiar flavors including ranch seasoning, cheese and bacon. It’s easy to make and fun to eat. You can read Megan’s full post here. Winter is so much tolerable with souper easy dinner options like this one. Thanks Megan for your contribution!